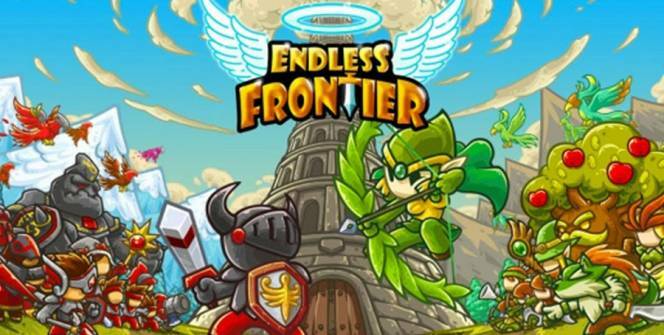 If you’re a fan of high-quality RPG games and are looking to play an addictive cartoon style game, which offers plenty of replay value, continue reading to discover why you should start playing Endless Frontier Saga! What is Endless Frontier Saga? It’s a magical themed RPG game which involves exploring a vast frontier, building an army and beating dungeon bosses in order to beat the villainous Prince of Darkness! 1. Choose from over 150 heroes. If you don’t want to play as the same heroes as your friends, you’re in luck as Endless Frontier Saga currently features over 150 different heroes. Each of whom boasts a unique set of powers, which you can learn to use to your advantage. So you won’t have any time putting together a team of heroes which is distinct from your friends’ teams. 2. Train ferocious monsters to help you in your quest. 3. Over 100 different army units to command. 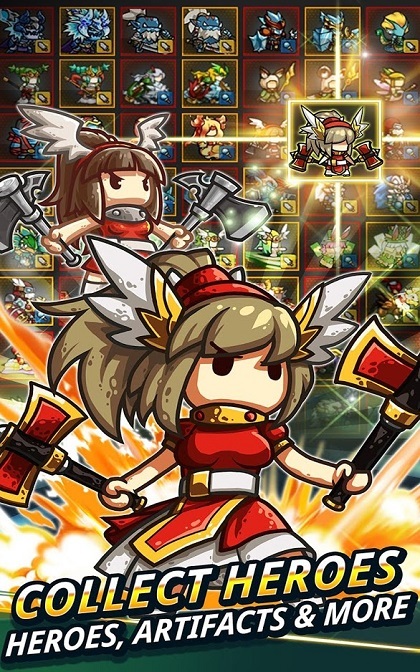 If you play Endless Frontier Saga, you’ll be able to customize an army which is made up of over 100 different types of army units. 4. Try to collect as many rare relics as possible. One way to level up fast is to try and collect as many of the 200 collectable relics which are up for grabs. As the higher level you obtain, the stronger heroes and monsters which you’ll unlock, in order to strengthen your army. 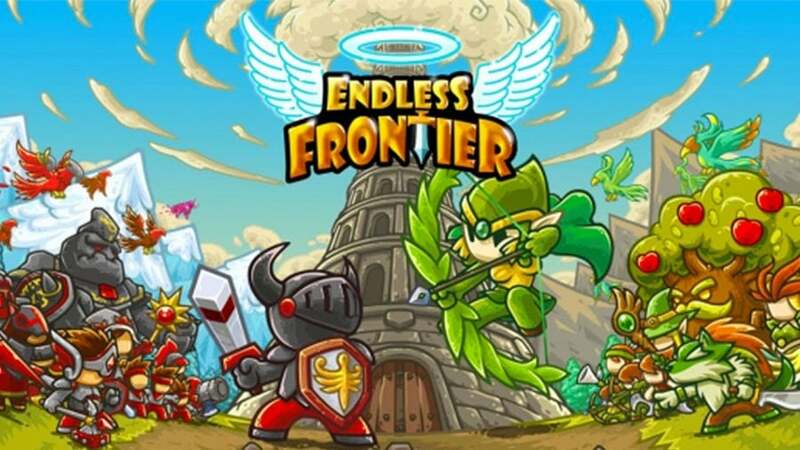 If you’re sick of playing games which offer a finite, limited amount of levels, it’s well worth downloading Endless Frontier Saga as it offers endless levels. So no matter how much time you spend collecting heroes and upgrading your army, there will always be fresh challenges to take on. 6. Two distinct game modes. Endless Frontier Saga boasts guild wars and dungeon games. Guild wars can be played offline and while dungeon games, involve taking on formidable foes, who offer massive rewards for beating them in a head to head battle. One tip to defeat hard to beat dungeon bosses is to equip your heroes with powerful pet monsters, who’ll be able to cause a significant amount of damage. As part of the game, you’ll also get to explore a sprawling frontier style landscape. Remember that the more time which you spend exploring, the more coins which you’ll earn. Which is important as you’ll need a large amount of coins in order to purchase new heroes and monsters, in order to progress through the game’s challenging levels. 7. Unlock treasure chests for completing each level. Each time you beat a level, you’ll be awarded a treasure chest which will contain a randomized reward, which will help you on your journey. If you’re a huge fan of RPG games and love the sound of playing Endless Frontier Saga, there’s no better time than the present to get started! Sometimes when playing Endless Frontier Saga, bluestacks ask you fee to pay but gives you option to download some apps. Every time it asks you just select “Install apps” and continue using it free. I hope you enjoyed this article, please rate and share. If you have problems running Endless Frontier Saga on your desktop or any other issues, leave a comment below.